On August 15th, 2011, the Panama Canal welcomed its 97th anniversary with an on-going project to expand its operating capacity and increase the value of its role in global trade. Although the Panama Canal expansion project has been cited as key to the country’s recent economic growth, concerns over high spending costs, environmental degradation, and labor disputes are unquestionably marring the project’s success story up to now. Legitimacy over the Canal expansion project’s ability to deliver sustainable economic growth to Panama should also be questioned based on the Panama Canal’s tradition of benefitting elite members of the country’s business community, the unreliable state of construction jobs after the project is finalized in 2014, and the possible construction of a competing canal in Colombia by China, among a number of alternative proposals. In a 2007 speech, U.S. 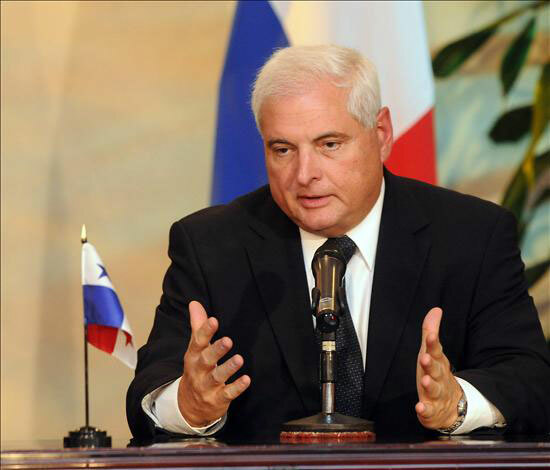 Ambassador William Eaton lauded Panama’s “bright future” and celebrated the 2006 referendum that approved the USD 5.2 billion Panama Canal expansion . Since that moment, the Canal expansion project, the first since the construction of the facility was initially finalized in 1914, has drawn steadfast international support. The United States, which is responsible for an estimated 1/3 of the total 4,800 containers and equipment that pass through the Canal every year, has been especially enthusiastic . However, it is not the only country excited over the expansion for Panama’s now 97-year-old attraction. The Panamanian government, which has been far from stable, has cited the project as instrumental for the continued and future growth of the country’s GDP. By the year 2007, hopes were high amongst Panamanians that the project would add over 50,000 jobs and steadily increase foreign investment by 40 percent until its completion in 2014, the same year as the Canal’s centennial celebration . The Canal expansion seemed to reflect a logical investment. 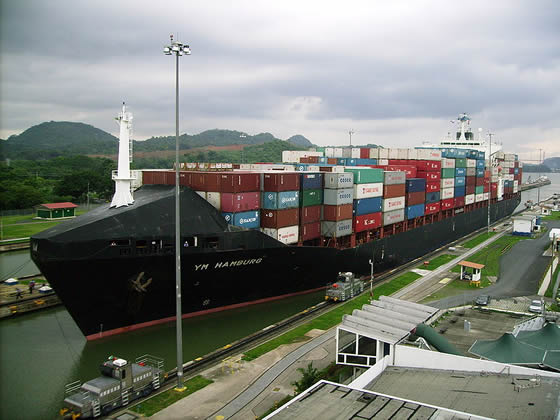 The Panama Canal Authority (PCA), an independent agency in charge of operating and overseeing the Panama Canal, estimated in 2006 that the Canal would exceed its capacity between the years 2009 and 2012. This would have led to huge losses for Panamanian trade, which, without the finalized expansion, continues to be at a disadvantage compared to other ports that welcome larger post-Panamax ships. As the cost of maritime export remains high due to steep oil prices, the solution for many companies has always been to construct bigger ships able to carry more cargo, but without the capacity to pass through the narrow Panama Canal.“Without an expansion,” the PCA concluded, “the Canal would face new competitors as well as permanent and irreversible changes in trade patterns in which Panama would stop being relevant as a global maritime route” . As more than 14 percent of the Panamanian government’s annual budget, estimated at USD 3.4 billion, comes from toll revenue, construction was likely to promote long-term economic growth . But even though the Canal’s expansion has so far delivered on its promise of raising the country’s GDP, worries over high costs, and continued resentment from some Panamanian environmental and good-government activists, slows progress with questions over economic inclusion and environmental sustainability. In fact, Panama’s USD 5.2 billion investment fails to take into account the additional cost that will be involved in repairing roads that will be damaged during the transportation of heavy construction equipment. Thus, although the Panama Canal’s new larger locks and wider channels will certainly make way for current global shipping standards, the negative effects brought about by the construction will also bring deeply troubling environmental issues, including surface run-off and persistent logging. Both issues would, in turn, also affect the quality and salinity of the water, requiring urban water treatment plants to go through costly upgrades. However, there is simply no room for such projects within the government’s existing budget. Therefore, the reliability of the estimated cost of construction has consistently been called into question by third parties, especially those concerned about the possible damage to lakes near the Canal’s overall trajectory, such as the Gatun Lake. Similarly, questions over who would truly benefit from the expansion cropped up before the project even began. Much of the expansion’s positive economic effects would end up benefitting the commercial interests of the country’s elite businessmen, bankers and lawyers. Likewise, their U.S. counterparts have much to gain, thanks to domestic construction projects sprouting up in states like Texas and Florida in preparation for the Canal’s 2014 inauguration of its expanded capacity . However, the expansion also caused concern amongst employees who decided to obstruct the project in 2010 with protests, as well as demanding payment for their extra working hours, along with aptly calling for improved labor conditions . These protests, though resolved by the Spanish Sacyr Vallehermoso firm and Italian corporation Impregilo, went unacknowledged by anyone in the Panamanian government . Such protests over poor labor conditions, as well as unpaid hours, reflect the difficulty Panama’s administration has had, and will likely continue to have, in dealing with labor disputes in which such problems are related to actions by both government labor authorities and foreign corporations. This situation, added to evidence of widespread corruption throughout the country, should cause many to question whether Panama will ever be able to meet the demands of the pending Free Trade Agreement with the United States, which has yet to be ratified by the U.S. Congress. The future of the Canal as a premier maritime route may soon be uncertain. The expansion project began with hopes of making the Panama Canal into a trading monopoly once more. Unfortunately, competition from projects promising to be cheaper and equally strategic for global trade, like the proposals for dry-canals in both Nicaragua and Colombia, could pose future concerns for the project’s masterminds, who had hoped to pay the investment costs with the projected increase in toll revenues. Of the two proposed dry-canals, Panama’s biggest competitor may soon be found in Colombia. Inspired by the Canal’s expansion, China is currently in talks with Colombia to fund a “dry Canal” . The project would finance a 250-mile railway, linking the Pacific to the Atlantic Coast . Given that, in 2010 alone, trade between China and Colombia rose to an estimated USD 5 billion, the two countries are likely to foresee the project as a way to bring about a powerful integration of political and financial stability . Meanwhile, the Panama Canal, which was constructed by the United States and is symbolic of its prowess at the turn of the 20th century, continues to demonstrate U.S. influence over world trade. Now, China has an excellent opportunity to assert itself in Latin American economic matters beyond its competition with the U.S. in Panama, whose exports to China soared almost 80 percent in 2007, and has since continued to grow . Similarly, Colombia, though grateful for the USD 8 billion it received in U.S. aid to fight domestic drug cartels, is still waiting for its own Free Trade Agreement with the United States to be enacted . Little movement on the Colombia FTA with the United States has certainly helped China to appear more responsive, competitive and attractive to Colombia, making the joint project with China a likely possibility that ultimately may threaten the future role of the Panama Canal. As the United States moves forward with the Panamanian and Colombian FTAs, such issues are likely to rise to the surface, bringing with them potentially momentous questions over the future of U.S. foreign policy in the region. Likewise, as the Panama Canal expansion project comes to a finale in the next few years, discussions over environmental and economic effects will gain prevalence. Moreover, while Panama’s inspiring economic growth may overshadow these other ill-effects, Panama’s current and future administration would do well to address the concerns of many Panamanians, some who wonder what will happen to the jobs created during the Canal expansion once it is completed in 2014. Perhaps the most important question, though, is whether or not a significant portion of the increased profits from toll revenues will actually be used to benefit the people this time around. Panama’s Critical Juncture: A Repeat of the Ecuadorian Debacle?